When a woman knows her worth!!!! 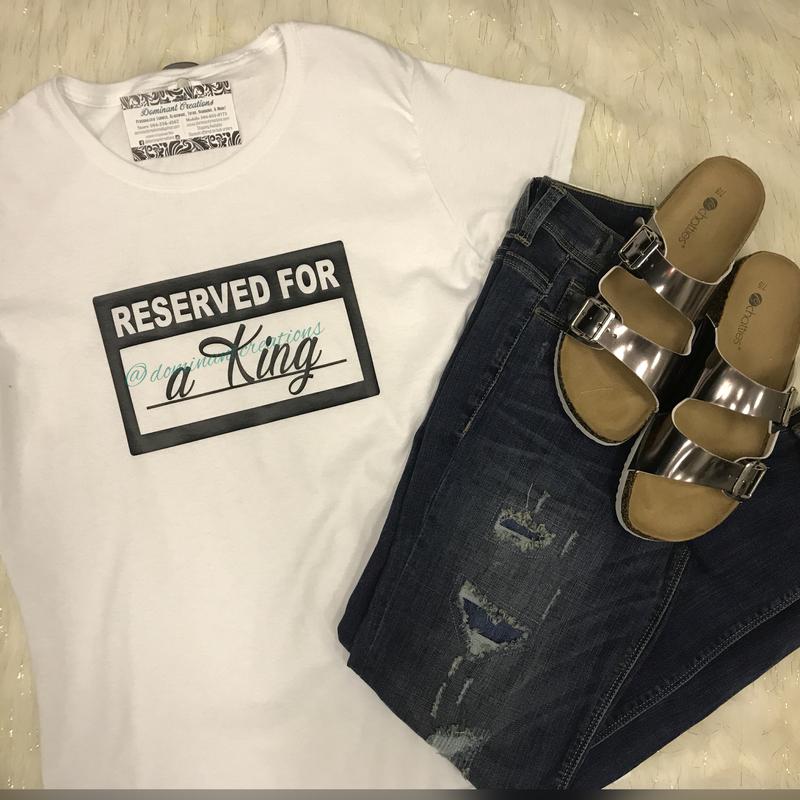 Our Reserved for a King shirt makes a statement and is a must have! Offered on a ladies preshrunk heavy cotton tee.